In Japan, the current Emperor is set to abdicate on April 30, 2019 to be His Majesty the Emperor Emeritus. This marks the end of the 30-year Heisei era, and we're pleased to have this promotion with our valued customers in appreciation of the current Emperor. 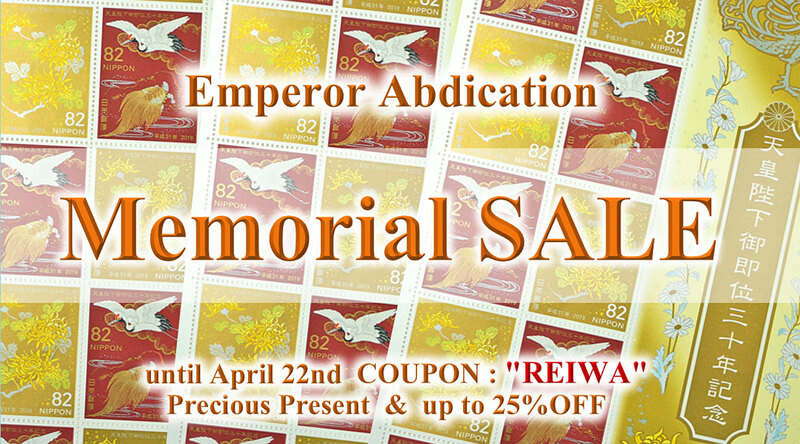 Everyday, one of customers who placed an order wins the Emperor's Precious Memorial Stamp in a lottery ! Coupon code : " REIWA "
Please use this code at the final stage of checkout. if the total amount of your order meets the amount condition in incremental steps. If you purchased in the past, you're eligible to get 2.00~5.00% OFF according to the number of purchasing. Please be noted only registered customers are eligible. You're recommended to make your own account first! please use the express service below such as FedEx, DHL and EMS(by Japan Post). 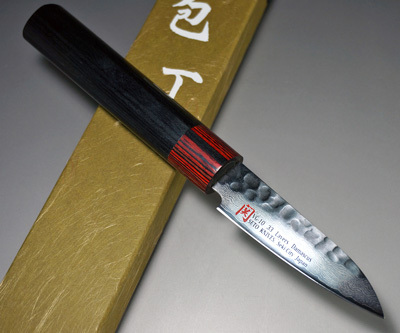 You're offered the following beautiful damascus knife present as our gratitude. Please be noted that the present is in limited supply. Click one of the pictures below to start finding your best knife! We'd be very happy to help you find the best knife for Gift and for your best Cooking Experience.